The Witching Hour T-shirt from The Mountain® features the fantasy artwork of UK artist Lisa Parker. The moon is full, and laying on a pile of spell books a black cat gazes at the flame of flickering candle. It's time for magic. 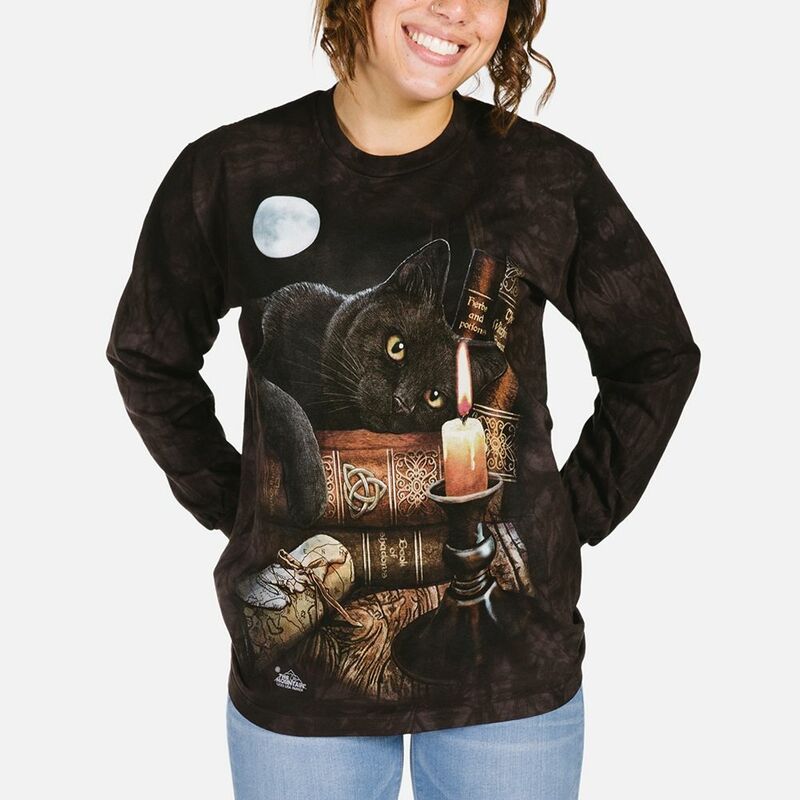 This fantasy cat t-shirt is nothing short of enchanting and the realistic artwork keeps you mesmerised. The classic cut means the shirt is suitable for women and men. The purrrrfect t-shirt for Halloween!